Do try the chicken recipe. So good! Couldn't be easier. Sounds weird ... I know. Had the oven one for decades! Starryeyes ... Russian Dressing I think is mayo, ketchup and relish combined. You can buy it or there are a few recipes out there, but this is basically it. I love this ... and found this easier version. I have been making this for 40 + years. EVERYONE LOVES IT!!! Combine the crushed crackers and melted butter; press by hand into a 10” pie plate. In a saucepan, combine the eggs, milk, salt and pepper, and cook over med. heat until thickened to a custard. (NOTE: no cheese – yet). Chop the green onions until fine, then sprinkle BOTH the onions and cheese over the crust. Pour the custard over the crust/onions and cheese and bake @ 350 degrees. (NOTE: IF using a GLASS pie plate, bake @ 325 degrees) for 30-40 minutes, or until inserted knife comes out “clean”. in the microwave. If you want 2, double it! 3 minutes prep time, 2 minutes baking!! Won't even HEAT up your kitchen!! And a dash each of vanilla extract and salt. Microwave until puffed, about 2 minutes. Now we can withstand the rest of the J. Arias saga and the Zimmerman trial. HERE is a very simple Chocolate cake... almost too simple to be true. Booklet cost just a few cents.... and usually such things are just copies of standard recipes... but in this case there are several great recipes especially the EGG-LESS chocolate cake. In my experience recipes that seem too easy to be true are not much cop...but this one works.... it has amazed many who have sampled the cake here.. and we often get requests for the (secret) recipe. I'll copy the page here for historical purposes... but its so old and faded and stained.... hard to read... I will transcribe. Put half the milk, all the sugar, goden syrup and butter in a pan and heat until melted. Sift flour, cocoa, cinnamon into basin. Add the heated ingredients, the other half of milk with Baking Soda dissolved in it. My mother hand-wrote a recipe book for each of her four g-daughters in the 90's. This is a favorite. She always made it before or after a holiday to offset the turkey and dressing leftovers. This makes enough for about 10 large bowls. It can be doubled for larger crowd. I tripled the recipe for a recent Super Bowl party. It's hearty .. so good to have at an event where drinking is involved. And it is easy/delicious! Easy to take to a potluck. Cook the beef ahead of time. Most the canned ingredients have pop-open tabs. Wait, so there's such a thing as a Guacamologist? Yes. Actually, there are a number of them in Dallas, and they are quite literally what you would imagine them to be: experts in guacamole. 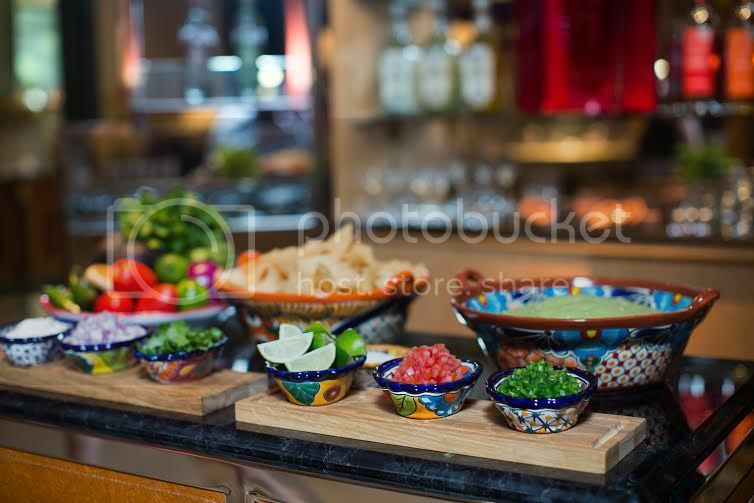 The term "Guacamologist" was originated by the staff at The Ritz-Carlton, Dallas who were hoping to create a defining moment of the day for their guests. They created a guacamole ritual and trained their employees in the art of its preparation. Once the Guacamologist was born, The Ritz-Carlton, Dallas patented the term. Ingredients: 8-9 large Hass avocados, halved, seeded and peeled. 4-5 jalapenos, seeded and fine diced. 1/2 large red onion, fine diced. 2 medium tomatoes, cored, seeded and fine diced. 2 limes, juiced. 1 bunch cilantro leaves picked and finely chopped. 1 head of roasted garlic. 3 teaspoons kosher salt. 2 tablespoons sour cream. Directions: Rub a large serving bowl with 4-5 cloves of roasted garlic. Add the avocado pulp and mash with a wire whisk. Fold in all remaining ingredients. Lay plastic wrap directly on guacamole, pushing out any air. Keep chilled until ready to serve.